A lot of folks, it turns out. Better than 60 million at last count. But that doesn't include highly paid, and obviously over-paid, pollsters. And it doesn't include "journalists," who showered their elitist agendas on television screens, in newsprint headlines and across cyberspace during the 17-month presidential campaign. In short, those posing as experts predicting the future blew it. And they blew it "big league," both before and after the election. "No question – markets are going to tank all over the world," said top experts at Yahoo Finance, during online, streaming coverage election night. Curiously, not one dared repeat Trump's constant drumbeat to his supporters – "stay out of this dangerous stock market!" Trump's politically-incorrect bond with his supporters was aptly captured by columnist Peggy Noonan. "There was no state-of-the-art get-out-the-vote effort—his voters got themselves out. There was no high-class, high-tech identifying of supporters—they identified themselves. It somehow makes it more beautiful that few saw it coming." Donald Trump's victory in the face of pitifully wrong predictions is historic, but far from unique or unprecedented, despite what press and pundits would have you believe. The 1948 Chicago Daily Tribune headline "Dewey Defeats Truman" has been the poster child for 68 years for deplorable journalism and pathetic polling. 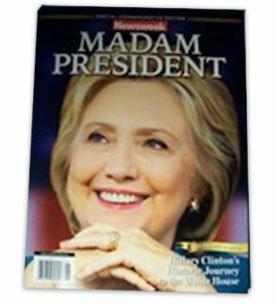 Now, Newsweek has taken the Dumb & Dumber Award for its cover sporting a smiling Hillary Clinton as "Madam President." That issue was planned, printed and distributed days before the election. Dead Wrong Pollsters... You’re Fired! Lesser known is the polling and reporting surrounding Louisiana's 1956 gubernatorial election. Earl K. Long, brother to Huey "Kingfish" Long, was a corrupt but beloved rascal who once ushered a herd of farm animals onto the floor of the Louisiana legislature to make his point. 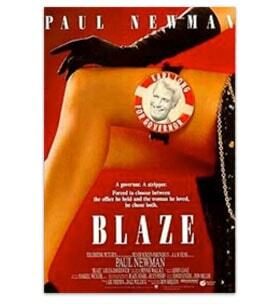 His shameless dalliance with Bourbon Street stripper Blaze Starr was merely the highlight in a constant stream of public embarrassments, fancifully portrayed in the movie "Blaze" starring Paul Newman. "Uncle Earl" won his third term in 1956 in an unexpected landslide. Portrayed as a backwoods hick by his silk-stocking opponents, with the press pounding him every day, he wiped them all out in the primary – no runoff election was needed. No one saw that coming. "The day before the election you couldn't find anybody who says he was voting for me," crowed Uncle Earl. "And today, after my landslide, you can't find anybody who says he voted for me." The media's most astounding back flip comes from the New York Times, this nation's supposed "newspaper of record," decidedly pro-Clinton throughout the campaign, which headlined Clinton's prospects of winning at 86% five days before the election. Publisher Arthur Sulzberger was cowed into publicly "rededicating" The Times to "honest, unbiased reporting." One of Sulzberger's editors had publicly admonished him to "change your focus" from telling readers what and how to think to what readers actually think – to stop "pushing the limited agenda of your editors." Predictions, says Hemke, are "a fool's errand – people thinking that they know one day after Trump was elected what's going to happen now." The same “experts” who were dead wrong about Trump now think they know what happens next. Make no mistake – Donald Trump is not a small-government guy. Never was and may never be. Based on his preference for “smart trade” over free trade, we may see “smarter government,” but it won't be smaller government.